It’s difficult to think of any one item of clothing that has had quite as colourful a history as the humble hoodie. Over the past century, this sportswear staple has gone from playing field to runway, stopping off at every conceivable urban subculture along the way. It’s been name-checked by prime ministers, designers and screeching Daily Mail editorials, and has even been banned in some parts of the western world for brief periods of time, all thanks to its street associations. About time too, because the hoodie truly is a wonder garment. It’s functional, comfortable and stylish in equal measures. And now, thanks to fashion’s ongoing steamy love affair with streetwear, it’s also bang on trend. There aren’t many items of menswear that work for a hungover afternoon of Netflix, streetwear stunting, a hobble back home from the gym and an athleisure-ly stroll around the city. But the hoodie has you covered for all of them, and even smarter outfits, too. “As the hoodie has become a wardrobe staple, big brands are listening to their market. Guys aren’t afraid to splash the cash on designer sportswear now, and mixing track tops or joggers with tailoring has become a trend in recent years,” says Richardson. They don’t come in skinny fit, but if you want to wear a hoodie under a regular-fit denim jacket, look for one that’s relatively form-fitting. Otherwise, go maxi with an oversized hoodie that nods to the street culture that made it cool in the first place. Fleece back or loopback cotton are the most likely options you’ll find at the shop and they’re ideal because they’re comfortable, hard-wearing and easily washed. Higher-end brands will also experiment with fabrics like merino or even cashmere if you want to loaf in luxury. As ever, grey, navy and black are the no-brainers that will get the most wear, but consider khaki, off-white or brownish tones for alternative neutrals. If you want to make a statement, bold reds and yellows will do the job, although a mint green or purple gives you a more subtle way to stand out. It sounds like a contradiction in terms but ever since sportswear and loungewear got the high-fashion seal of approval, hoodies have become appropriate for smarter dress codes. We’re not talking dinner at the Ritz, more like dress-down Friday’s done in style and comfort. Stick to neutral colours and you’ll find a hoodie looks great over tailored trousers or under an overcoat. It may only have been on the scene for 10 years, but already COS is one of the coolest names on the high street. With tightly-curated seasonal selections, containing all killer and no filler, COS has been instrumental in bringing that clean, Scandinavian aesthetic to the everyday consumer. Timeless yet contemporary designs, premium quality and zero obnoxious branding all come as standard when you pick up a hoodie from here. At the high end of the high street, Reiss sets itself apart from its neighbouring stores with superior construction and premium price points. The retailer is also well known for its sleek, fuss-free styling and use of quality materials. When it comes to hoodies, it’s more of the same. Shopping here, you’ll find a refined selection of premium leisurewear that manages to straddle the line between timeless and trendy. Japanese menswear’s undying obsession with all things vintage Americana, utilitarian and workwear is encapsulated perfectly in the output of Beams Plus. The label is the men’s fashion arm of the sprawling Beams franchise and has been kitting out clued-up shoppers since 1999. Expect to find a mix of plain and patterned styles, rendered in high-quality fabrics, and with premium Japanese construction. Ever since hoodies became a legit way to look smart and put together, labels that specialise in luxurious, well-made basics have done what they do best with a garment once associated with skaters and shoplifters. Case in point: Sunspel, the British knitwear label that regularly makes us feel all fuzzy inside. Its hoodies come in stroke-able cotton-jersey, and in neutral colours that will work as well with tailored trousers as they do joggers. Ralph Lauren doesn’t just do preppy Americana better that most other brands, the man practically invented it. The brand’s hoodies are smart and stripped back with nothing more than the famous embroidered pony for embellishment. Comfortable and versatile, you can slip these hoodies under a denim jacket or unstructured blazer. 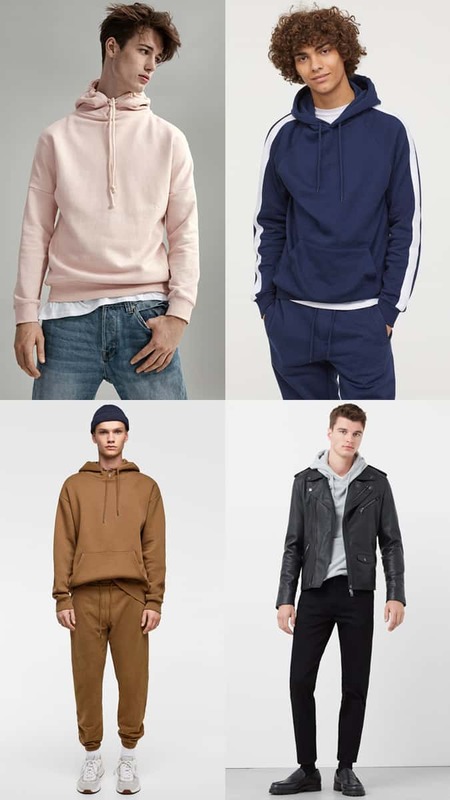 The old faithful of a man’s casual wardrobe, the everyday hoodie usually featured no prints or branding and comes in a neutral, wear-with-anything colour. A fine top-layer above jeans or joggers, they will also slip very nicely under a biker, trucker or bomber jacket. Thanks in no small part to its lightning quick supply chain, Zara is one of the global high street’s leading names when it comes to hard, fast fashion. Providing an enormous array of seasonal clothing styles and with its finger firmly on the pulse, this is the perfect spot to get cutting-edge fashion at reasonable prices. Shop here for trend-focused hoodies you won’t need to sell any organs to afford. Founded in Berkeley, California, in 1968, The North Face quickly became one of the most reputable outdoor brands on the market. In addition to manufacturing industry-standard mountaineering gear, the brand churns out some top notch casualwear, and its hoodies are no exception. Buy from The North Face and you can rest assured of quality, style and finishing touches such as printed logos and woven branded tabs. Swedish fast-fashion juggernaut H&M is one of the most recognisable names of the high street and can be credited with bringing simple, Scandinavian styling to the mass market. The brand is well known for it’s affordable basics and one piece that crops up over and over again, in various fabrics, patterns and all colours of the rainbow, is the hoodie. If you’re watching your spending and want to get the most bang for your hard-earned buck, this is definitely the place to go. Few brands have the sporting heritage that Nike can shout about so its sweats and gym wear have more authenticity than most. The famous swoosh is almost always present in melange or loopback cotton for maximum comfort. Like Nike’s, Adidas hoodies benefit from decades of sporting design and instantly recognisable branding. Whether you go opt for the brand’s famous three stripes or trefoil motif, you’re wearing a classic. The band does pretty much every style of hoodie imaginable, from pouch pockets to zip-ups, oversized to longline. They’re all great. Unbashful about branding, colour or fit, these hoodies celebrate the culture that first took this piece of sportswear and made it fashion. Layer it if you really want to, but they were designed to be seen, rather than blend into an outfit. Heritage American sportswear label Champion has been doing the hoodie thing for longer than pretty much anyone else. It’s produced kits for the NFL, the NBA and the US Olympic basketball team. In a crowded market, this is an undisputed MVP brand. Champion is well-known for its patented ‘reverse-weave’ cotton, which uses unique fabric construction and panelled side inserts to eliminate the risk of shrinkage. Needless to say, its hoodies are some of the best around. The hoodie is a classic piece of streetwear, so where better to buy one than from a classic streetwear label? Stussy is one of the oldest names in the game and widely credited with starting the scene pretty much single-handedly. The hoodie is one of Shawn Stussy’s eponymous brand’s staple items, appearing season after season since day one. Expect bold branding, contemporary styling and street cred in abundance. American heritage workwear label Carhartt has a long-standing reputation for wearability and ruggedness, but in recent years, especially with the introduction of its ‘Work In Progress’ line, it’s become known for its streetwear styling too. Those combined factors make it one of the best options for finding a hoodie as hard-wearing as it is stylish. For workwear meets urban cool, nowhere does it better. Rei Kawakubo’s Comme des Garcons has long been known in fashion circles for its forward-thinking approach to design and cutting-edge seasonal collections that push the boundaries of fashion. The label’s PLAY line blends these trademark traits with street-friendly styling. A hoodie from CDG PLAY won’t come cheap, but it’s a timeless piece from an industry-leading label, featuring that now-iconic bug-eyed heart branding. Virgil Abloh’s perma-hyped label is at the forefront of stunting statement streetwear. It’s one of the brands that turned the humble hoodie into a loud, luxury item. In its range, you’ll find many of the designer’s signature touches – caution-tape stripes up the arm, an oversized fit, asymetrical cuts and can’t-miss screen prints. You’ll have to pay a premium, of course, but just think of the Instagram engagement. Under the flamboyant direction of Alessandro Michele, Gucci has become a streetwear hot ticket, appealing as much to the rich kids of Instagram as it does Monaco yachtsmen. 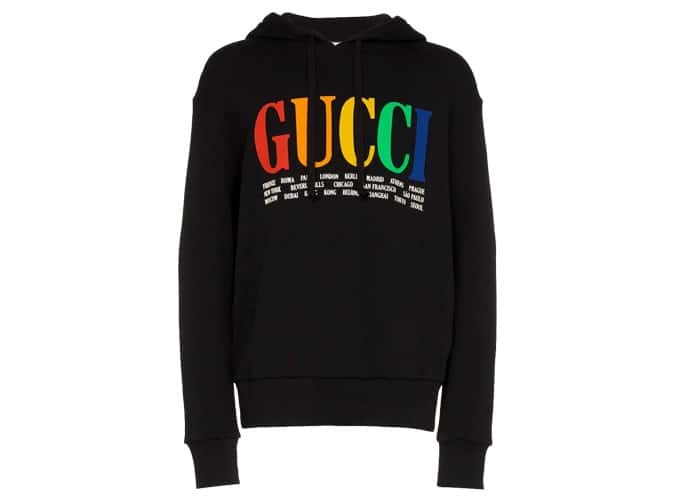 The label uses its hoodies like much it uses everything else – as a means of wearing colourful logos, statement prints and look-at-me branding. You can expect envelope-pushing design and luxury cottons, plus the price tags to go with them. Do Testosterone Booster Supplements Actually Work? Does bulking up your T levels ensure a meatier physique? We weigh the evidence… Whey Protein Powder: The Ultimate Expert's Guide Looking to bulk up? These tinctures will help supplement your gains and add muscle to your frame The Insider's Guide To Sneaker Reselling Are you sitting on a pair worth thousands?